The rules change on 31 March. Ukrainian airline “Ukraine International airlines” drew the attention of passengers to the fact that since March 31, landing for all flights of the airline will end 5 minutes earlier than now. “Dear passengers! Please note that from 31 March 2019, landing on all UIA flights will be completed no for 10 minutes before and 15 minutes before departure according to the schedule”, – stated in the message. 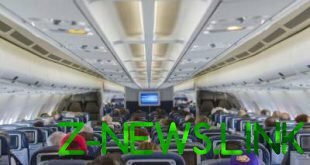 It is also noted that information about the beginning and the end of the landing on UIA flights is placed on the official website of the airline, as well as on the boarding pass. “Please count your time, time to get to the departure gate,” he added in MAU.